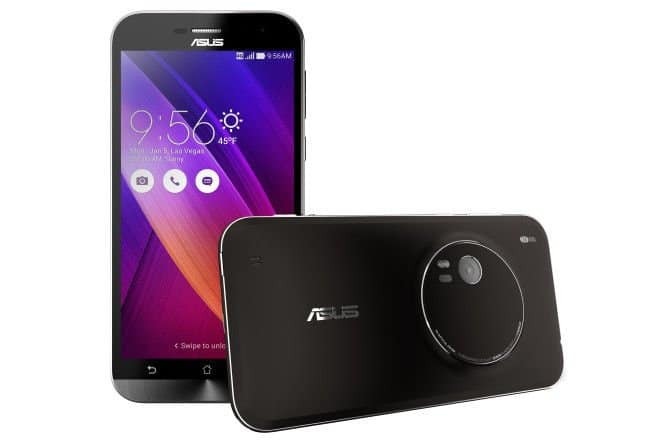 Finally we will see Asus unveil the Zenfone Zoom, their lastest photography centric smartphone. Earlier, we have seen Asus concentrating on the camera on their earlier smartphones launched at Zenfest, including the Zenfone 2 laser, Zenfone Selfie and of course the high-end Zenfone 2 Deluxe which were launched last year in Zenfestival, and the saga continues as Asus concentrates more and more on delivering smartphones with great performance and of course, an excellent camera. 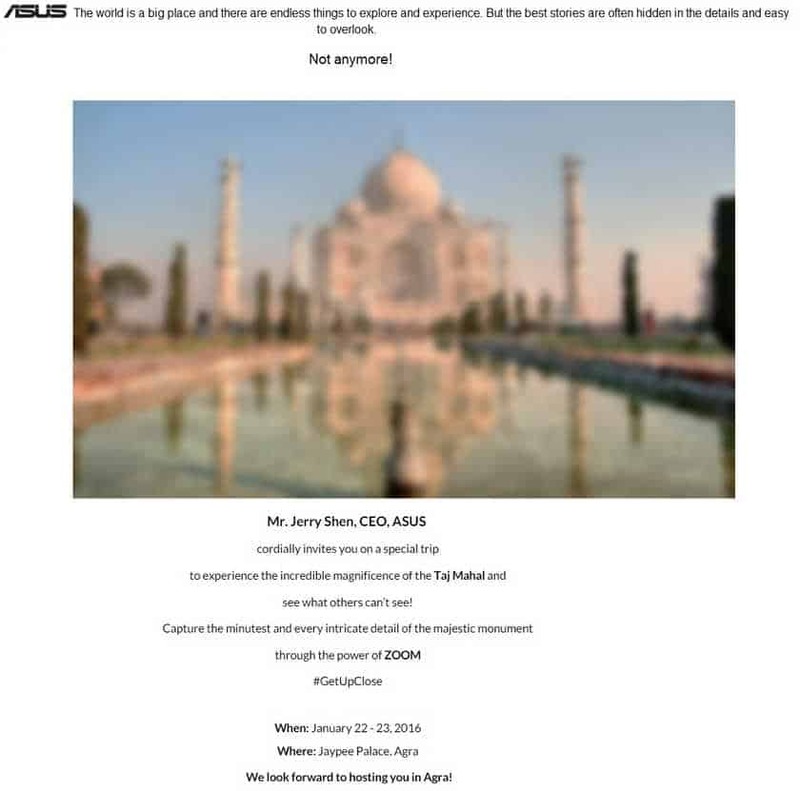 This time, Asus is getting ready to launch their latest photography-centric phone, the Zenfone Zoom on January 22nd and they have already started sending media invites. It is being expected that the Zenfone Zoom will be launched by the end of this month. The Zenfone Zoom comes with 13Mp snapper with 3x optical zoom. 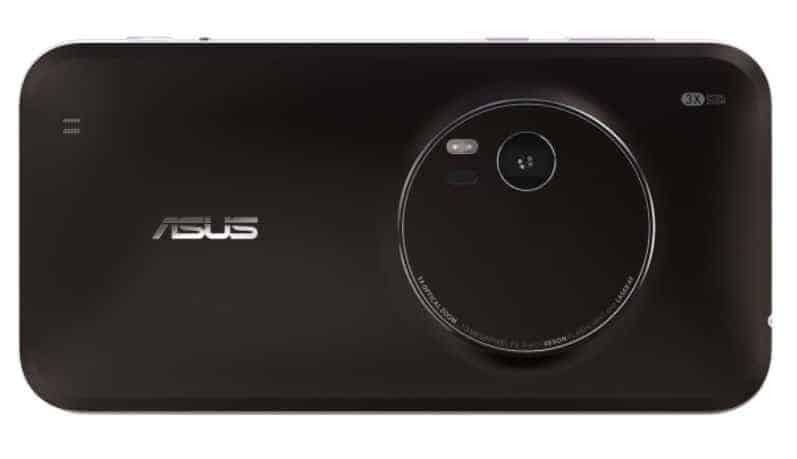 Asus said, “Its the most advanced photography smartphone”, and truly the phone actually doesn’t look like any other of its kind and rather it has the look of a mini point & shoot camera, and one great thing that I liked on this phone is the physical shutter button which is great for taking pictures. Asus Zenfone Zoom boasts of a 13 MP rear camera with lots of features. The camera offers 3X optical zoom and ultra-fast laser autofocus support, just like its predecessors. Zenfone Zoom comes with 10P Hoya lens, Image stabilization and dual-LED real tone flash along with pixel master 2.0. There’s also a 5MP front facing camera for selfies. Now, apart from a great camera the Zenfone Zoom sports a 5.5 Inch Full HD display with Corning Gorilla Glass 4 protection. It is powered by an Intel Atom Z3590 quad-core processor, coupled with 4GB of RAM. It will come in three storage options- 32GB/64GB/128 GB. It runs on Android Lollipop 5.1 out of the box, topped with their own ZenUI. It packs a 3300 mAh battery. So, we will be heading over to Agra on 22nd of January and will be updating everything about the Zenfone Zoom on our website and our social media handles. Make sure that you join us on Facebook to get the latest updates regarding the Zenfone Zoom, including the pricing and availability in India. Next articleRemix OS leaked prior to official launch, download now!! Asus ROG Strix Hero II: Ideal gaming laptop while on the move?